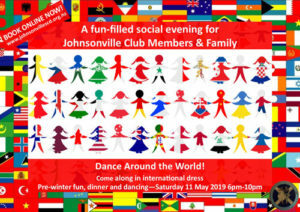 April Tartan Night: Fun for all! What a great evening we had at our first Tartan Night of the season on 8 April! With eight sets on the floor, the hall was buzzing with lots of smiles and laughter. Rod’s excellent programme catered for both experienced and new dancers, and the music, good company and delicious supper all combined to make for a night of bonhomie. Fantastic start to the 2019 Club Year! After four weeks of our very successful Beginners’ Classes, our club year began on 4 March. We had seven sets on the floor! The icing on the cake was seeing so many of our new dancers joining us at our first club night of the year. 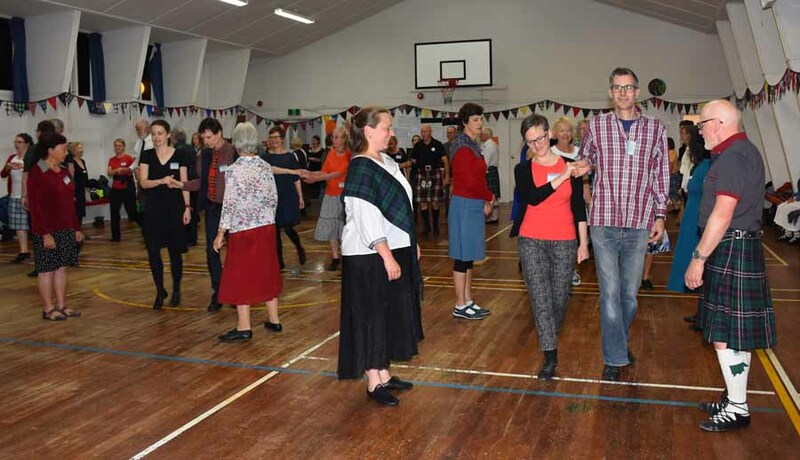 Once you’ve caught the Scottish Country Dancing bug, it’s hard to resist! Our summer social event was held a week later this year, on Saturday 2 February. Once again, the weather was hot and sunny on the bowling green and we had our biggest attendance yet.